 Bargello Museum: book your tickets now! 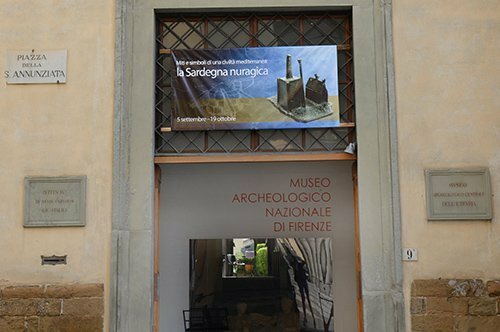 WHY VISIT THE BARGELLO MUSEUM? Because the Bargello Museum gathers a wonderful collection of Renaissance works of art and sculptures. Because you can admire the magnificent architectural structure of what was the "Palazzo del Popolo" and its large courtyard that has been preserved to this day. Donatello, Michelangelo, Verrocchio and Benvenuto Cellini are some of the names of artists who have contributed with their works to make the artistic exhibition of the Bargello Museum unique. In addition to the sculptures of these famous artists, the museum includes other collections that include, for example, majolicas, bronzes, stamps, tapestries and ivories. At the beginning of the second half of 1200 on the street of Proconsolo, the first part of what would later become the Bargello Palace was built. The first palace was enhanced and expanded and, at the end of the 1200, the courtyard was built surrounded by porticoes. In the middle of the 1300 it became the headquarters of the Podesta and later in the seat of the Council of Justice. 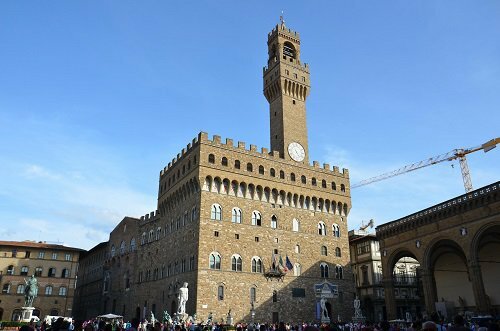 It was with Cosimo I de Medici that the building took its current name and became the headquarters of the Bargello, that is, of the Chief of the Guard. Here the detentions and the sentences were decided, and during three centuries it served as a penitentiary suffering different changes inside to adapt to this function. The palace was restored during the second half of the 1800s to be used as a museum dedicated to the medieval and renaissance arts. 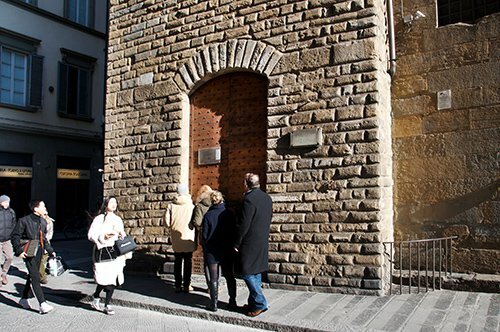 WHAT IS THE BARGELLO MUSEUM NOWADAYS? The Bargello National Museum is a museum dedicated to medieval art and Italian Renaissance. 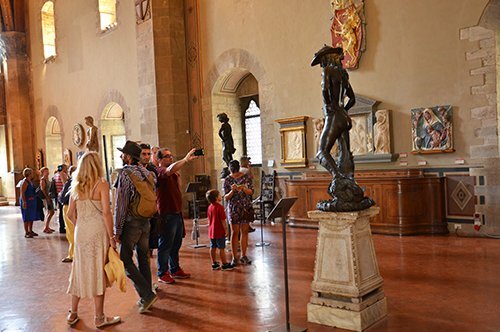 The Bargello Museum houses some of the most important works of Renaissance sculpture made by great artists such as Donatello, Michelangelo and Benvenuto Cellini. 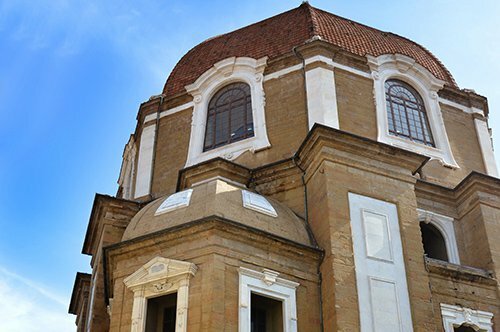 This museum displays a series of majolicas, bronzes, medals and stamps as well as tapestries and other works of art belonging to the collections of the Medici family. At the end of the 1800s, the collection was enriched by the donation of a French antiquarian who handed over to the museum more than 2,500 works. On the first floor of the museum we find the Hall of Donatello and the works by Ghiberti, Brunelleschi and Luca della Robbia. On this same floor we find the Thirteenth Century Hall (Sala del Trecento), the Hall of Ivory (Sala degli Avori) and the Hall of Majolicas (Sala delle Maioliche). Going up the stairs of the museum we can visit the Hall of Bronze (Sala dei Bronzetti), the Verrocchio’s Hall (Sala di Verrocchio), the hall of Medallions (Sala dei Medagliere) and the Armory Hall (Sala dell’Armeria). The Bargello Palace has a large inner courtyard built in the 13th century with arches in the porticos of its three sides, when the Bargello was a prison, its doors were closed and reopened in the second half of 1800. Did you know that in Florence there is a saying: "play like the bell of Bargello". The origin of this popular saying is due to the function of the Bargello bell called "montanina". The bell sounded to call the population on the occasion of events that were not particularly pleasant, for example, to warn about the beginning of the curfew, to announce capital executions or to recruit young people to arms, hence this expression is born. Did you know that the 57-meter tall Volognana Tower is attached to the Palace factory that was during the time when the Bargello was a prison, the headquarters of the cells and bears the name of one of the prisoners who was here locked, Geri da Volognano. 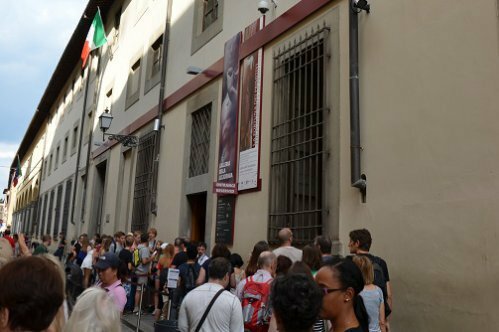 HOW TO VISIT THE BARGELLO MUSEUM? If you want to arrange your visit to the museum in advance, you can buy the ticket online. 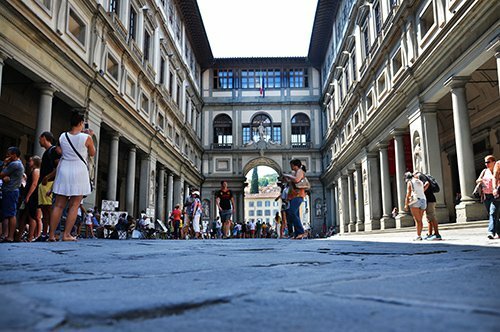 After your visit to the Bargello Museum you’ll have the opportunity to visit other wonderful monuments and famous places of Florence. Take the map of Florence and discover it! 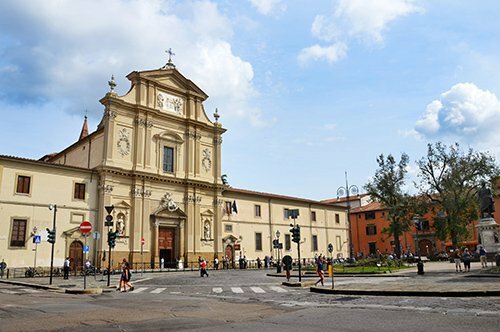 A few minutes from the Palazzo del Bargello is Piazza Santa Croce (St. Cross Square), dominated by the beautiful Basilica of Santa Croce. During the Renaissance, this square became the place used for horseback riding and popular competitions, even today it is the seat of the Florentine soccer. 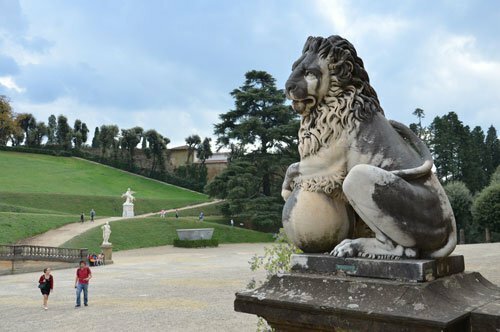 The Bargello Museum, the Medici Chapels, the Accademia Gallery, the San Marco Museum and the Archeological Museum are all places you can reach with a pleasant stroll. During your walk, you will find the impressive Piazza del Duomo. The great charm of this square attracts countless tourists throughout the year. 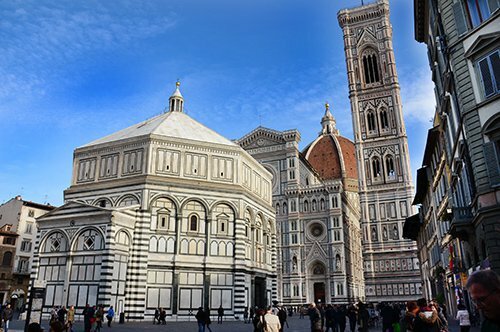 The impressive basilica of Santa Maria del Fiore better known as Duomo of Florence, offers you a visual spectacle that you will hardly forget. The Duomo, Giotto's belfry and the Baptistery of Saint John (Battistero di San Giovanni), mentioned in the novel Inferno by Dan Brown, make this square a wonderful theatre with different artistic and architectural styles. 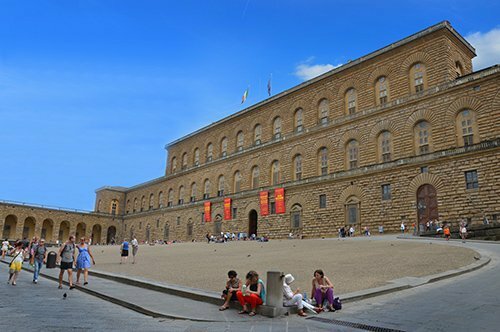 Continuing the tour, visit Piazza della Signoria (Signoria Square) with Palazzo Vecchio and the Loggia dei Lanzi and the famous Uffizi Gallery located next to the square. From here begins the route of the Vasari Corridor, which had the function, at the time of the Great dukes, to join the Palazzo Vecchio with Palazzo Pitti passing through the Uffizi Gallery, over the Ponte Vecchio and arriving at the Boboli Gardens. 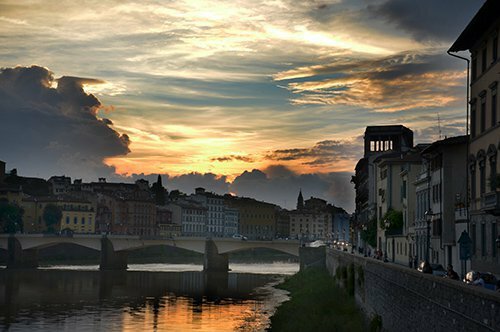 Regardless of the direction you take, you will have many places and many monuments that you can not miss in your visit to Florence and if you want to enjoy a unique panorama of the city, you will arrive at Piazzale Michelangelo where there is a bronze copy of Michelangelo's David. You can also visit the house dedicated to Michelangelo, the Casa Buonarroti and the Bardini Museum. If time permits, among the many Tuscan destinations, visit the Leaning Tower of Pisa, the Piazza del Campo in Siena, the Duomo and the churches of Arezzo or discover the characteristic San Gimignano.